When was the last time you got offended? What happened? We’ll come back to that thought. In the meantime, I’ll share a time when I was offended. We had this neighbor that was hmm…how can I say it, meddlesome? …yeah, that’s accurate. 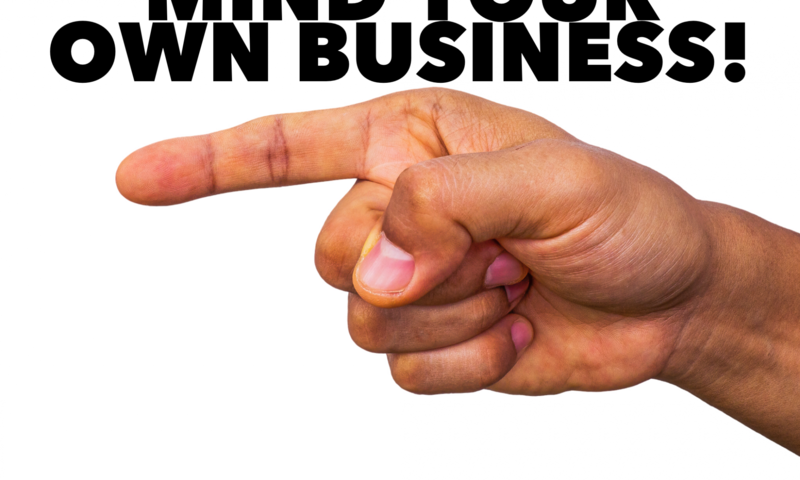 She would come over whenever, stop you as you were walking to the mailbox … Continue reading Mind Your Own Business!